The last time I attempted the Willey Range was with a few friends in March, 2015. 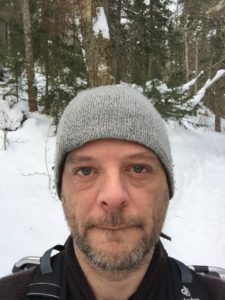 During the ascent, I had issues with heat management – hiking too fast with too many layers, and fatigue – lack of energy from having slept outside the night before. 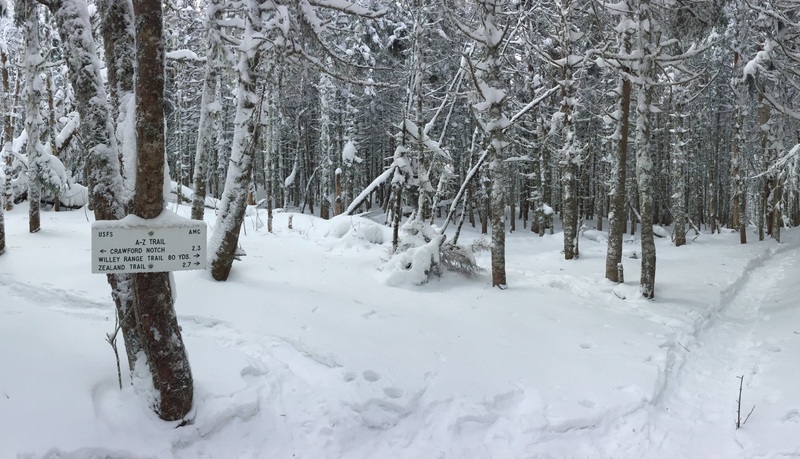 I had to turn around halfway up Mount Tom due to feelings of nausea and exhaustion. Better to turn back than risk injury or death; the mountains will still be there, waiting. 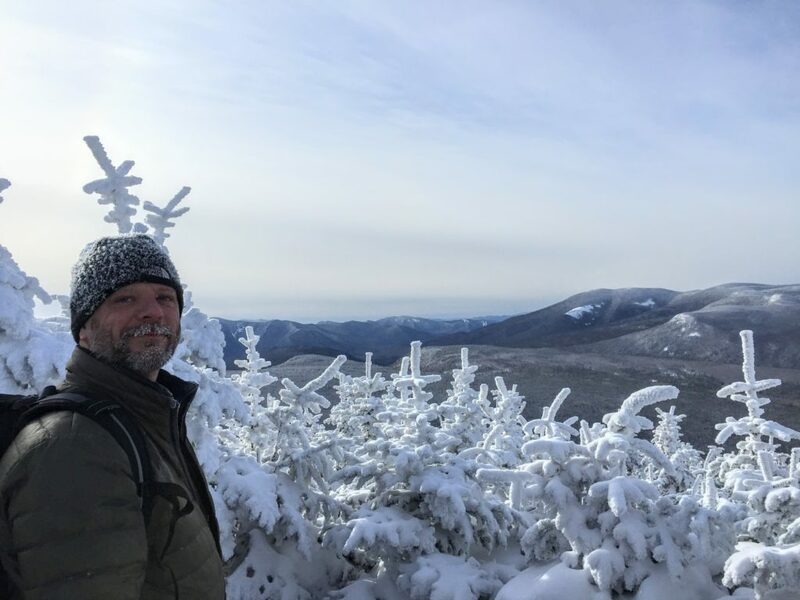 Determined to complete the hike in winter, I joined a friend for another attempt on Saturday December 30, 2017, with a plan to complete Mount Field and Mount Tom. It was extremely cold that morning. When I left the house around 4AM it was already pretty cold, hovering around -12° F. As we headed west into the White Mountains, the air temperature continued to drop, to -21° F; the wind chill was much colder. It would stay very cold the entire day. 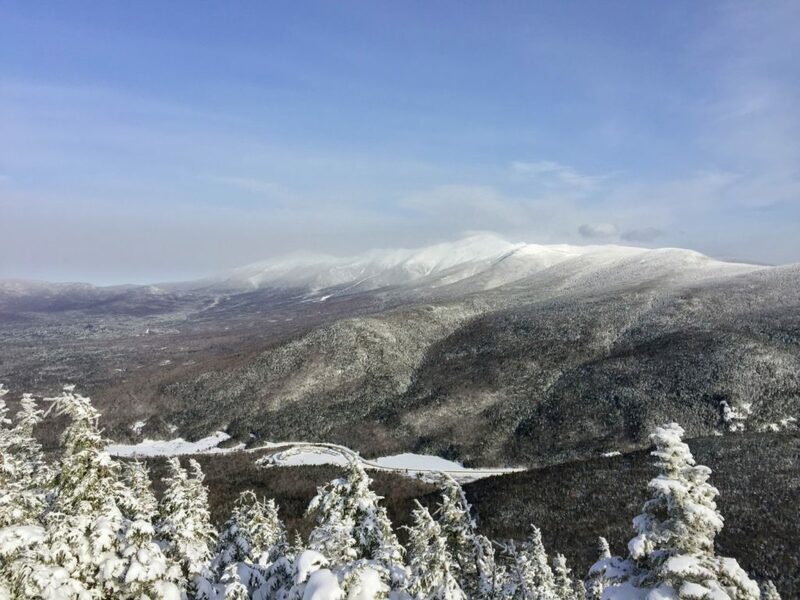 At the summit, the forecast was -4° with a wind chill of -15°. Frigid. 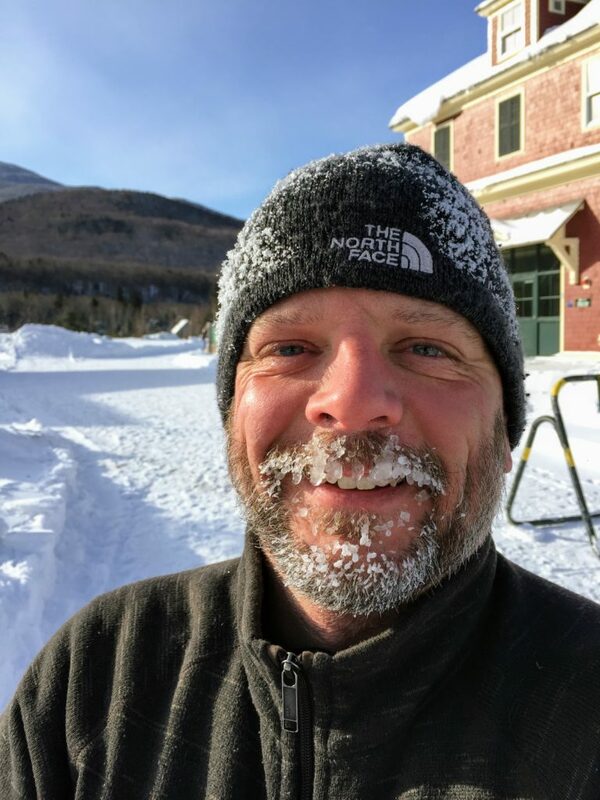 We parked at the Highland Center Lodge in Crawford Notch parking lot, where we got into our gear as quickly as we could, and began our ascent. This time I felt much better about the hike – plenty of sleep, a good breakfast, and motivating temperatures. The trail was well packed, so snowshoes weren’t needed – only micro-spikes. A-Z Trail Sign on a packed trail. The summits are not exposed on Tom or Field, so you have to step out onto one of the available clearings to get a good view of the surrounding peaks. 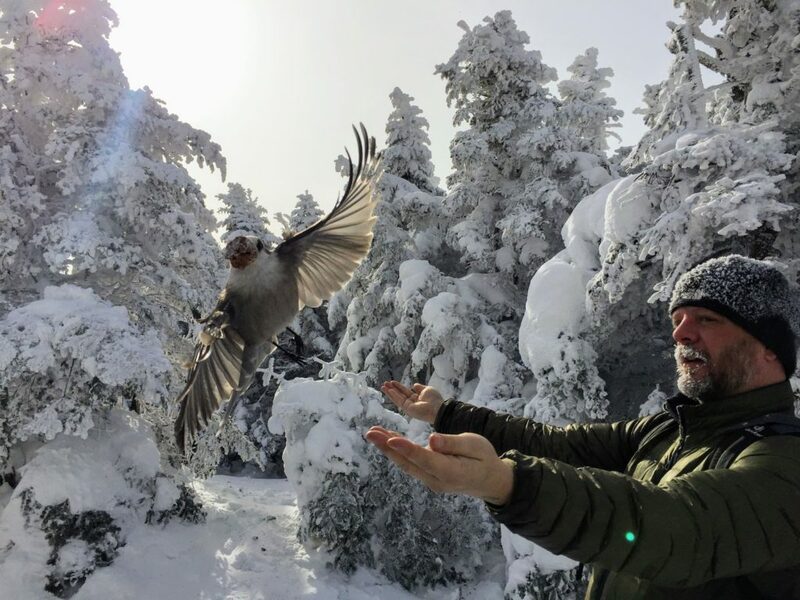 Encountered the famous whiskey jack aka grey jays at the summit, and had the pleasure of having one enjoy my peak snack. They are remarkable birds and always a joy to have around when hiking. Coming down was quick, with a few steep sections allowing us to sit and slide – lots of fun. At the end of the hike, we enjoyed some brief warmth in the Highland Center Lodge, packed up our gear and headed back to Maine. It was a fun hike, and a great day for up!